The Ikata-3 Nuclear Power Plant (PWR, 890MWe), owned and operated by the Shikoku Electric Power Co., in Ehime Prefecture, western Japan, is expected to resume operation, one year after being shut down. On September 25, the Hiroshima High Court (Presiding Judge Masayuki Miki) lifted the temporary injunction that it had issued in December 2017. The power company will now inspect the facility and equipment, and prepare to restart the plant. Bringing the Ikata-3 NPP—Shikoku Electric Power’s largest power-generation facility— back on line is obviously to the company’s advantage. Given, however, that Ikata-3 still faces threats of multiple applications for temporary injunctions by residents in neighboring prefectures, the possibility remains that operation may then be immediately suspended. 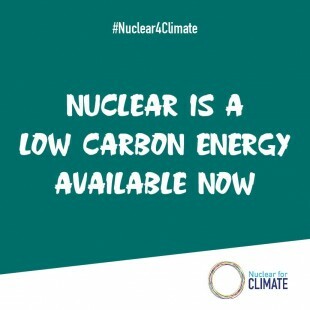 Shikoku Electric Power will begin loading fuel on October 1, intending to restart the reactor on October 27 and connect it to the grid on October 30. In August 2016, Ikata-3 became the fifth NPP in Japan to be restarted under the new regulatory standards that were introduced nationally in the wake of the massive earthquake of March 11, 2011. In operation, it accounted for some 20 percent of the electricity supplied by Shikoku Electric Power annually. Moreover, with the savings on fuel that had been required for increased thermal power generation, the restart improved the company’s monthly earnings by JPY3.5 billion (USD31 million at USD1=JPY113). In October 2017, Ikata-3’s operation was halted for a periodic inspection. That December, the Hiroshima High Court issued a temporary injunction against further operation of the reactor, saying that the risk of a catastrophic eruption of Kyushu’s Mt. Aso—which last erupted 90,000 years ago—had not been eliminated. The company was thus prohibited from restarting the unit in January 2018, as had been intended following the periodic inspection, so it filed an objection to the injunction. The legal proceedings then continued. The court further accepted Shikoku Electric Power’s assertion that a major eruption during the operational life of Ikata 3 was very unlikely. With that decision, the power company is expected to move ahead soon on procedures for restarting Ikata 3. 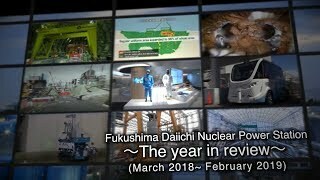 It will soon be one year since Ikata-3 was first shut down. Long-term suspension of the plant’s operation due to the temporary injunction has worsened the company’s financial balance, to the tune of about JPY30 billion (USD266 million). In the first quarter of FY18 (April to June 2018), Shikoku Electric Power saw its first net loss since 2016, which was immediately prior to Ikata-3’s post-Fukushima restart. Getting the unit back into service has been the company’s highest business priority. Decisions have already been made to decommission the Ikata-1 and -2 NPPs due to age deterioration, leaving Ikata-3 as Shikoku Electric Power’s only nuclear unit. Restarting the unit will significantly enhance its entire electricity supply capability. With full retail competition now occurring in Japan’s electricity market, the power company will be able to aim again at a profit model that includes “external earnings,” namely, selling electricity to other power companies or in the market. Lifting the temporary injunction means more than the imminent restart of the unit. The injunction itself, issued in December 2017, was to expire at the end of this month. 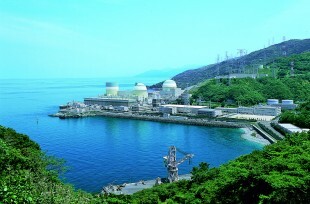 It would thus have been legally possible for Shikoku Electric Power to restart Unit 3 next month or later, and it had the option of simply waiting. Instead, it proceeded with a challenge to the injunction, resulting in the court’s ruling this time on the substantive questions. That result is significant in itself. Indeed, given the effect the ruling will certainly have on other lawsuits, the company appears to have been determined to achieve the reversal.